Below you fill find all funeral homes and cemeteries in or near Hilton Head Island. 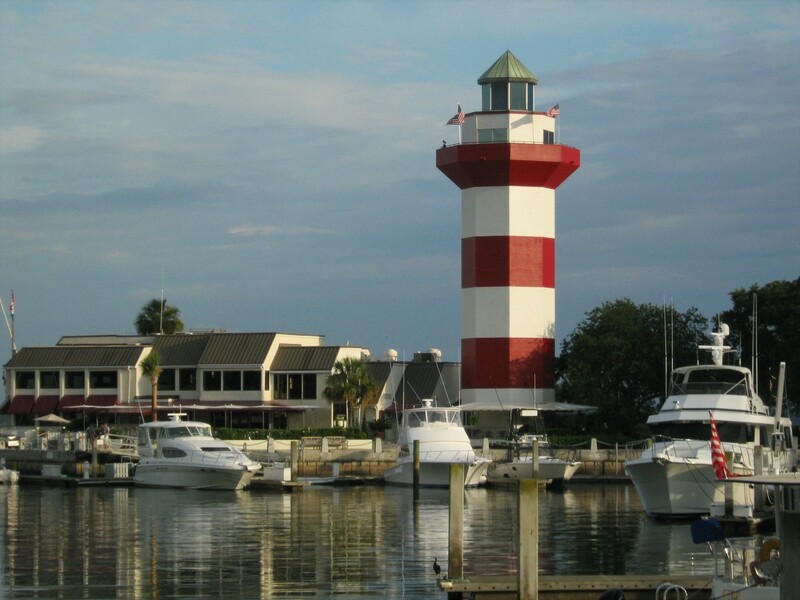 Suburbs of Hilton Head Island: Hilton Head, Daufuskie Is, Fairfield. Their current mayor is Mayor David Bennett. Zip codes in the city: 29915, 29925, 29926, 29928, 29938. Some of the notable people born here have been: Wayne Simmons (american football player), Sean O'Haire (wrestler), Dan Driessen (baseball player), Anne Pressly (actor and journalist), Trevor Hall (musician and singer), Kassie Hight (actor), and Sterling Knight (actor and musician). It was noted on March 3rd, 2019 that Helen Elizabeth Bishop (Lewis) perished in Hilton Head Island, South Carolina. Ms. Bishop was 97 years old. Send flowers to express your sympathy and honor Helen Elizabeth's life. It was reported on December 15th, 2018 that James H Richard died in Hilton Head Island, South Carolina. Richard was 89 years old and was born in Exeter, NH. Send flowers to express your sympathy and honor James H's life. It was reported on November 15th, 2018 that Vivian Abigail Shaw passed away in Hilton Head Island, South Carolina. Shaw was 16 years old. Send flowers to express your sympathy and honor Vivian Abigail's life. It was written on November 14th, 2018 that William Holmes Saxon passed on in Hilton Head Island, South Carolina. Saxon was 89 years old and was born in Metter, GA. Send flowers to share your condolences and honor William Holmes's life. It was written on July 7th, 2018 that Elizabeth "Anne" Gillian (Cline) passed on in Hilton Head Island, South Carolina. Ms. Gillian was 83 years old and was born in Stidham, KY. Send flowers to express your sympathy and honor Elizabeth "Anne"'s life. It was revealed on July 1st, 2018 that Halbert E Ashworth passed away in Hilton Head Island, South Carolina. Ashworth was 83 years old and was born in Beckley, WV. Send flowers to express your sympathy and honor Halbert E's life. It was reported on June 13th, 2018 that Frederick Austin Dr Craig passed away in Hilton Head Island, South Carolina. Craig was 85 years old and was born in Selma, AL. Send flowers to express your sympathy and honor Frederick Austin Dr's life. It was revealed on January 31st, 2018 that Stephen J Jr Reid passed away in Hilton Head Island, South Carolina. Reid was 66 years old and was born in Cambridge, MA. Send flowers to share your condolences and honor Stephen J Jr's life. It was revealed on January 17th, 2018 that Michael Andrew Nugent died in Nashville, Tennessee. Nugent was 28 years old and was born in Hilton Head Island, SC. Send flowers to express your sorrow and honor Michael Andrew's life. It was reported on August 19th, 2017 that Jane Fralick (Browning) passed on in Hilton Head Island, South Carolina. Ms. Fralick was 92 years old and was born in Bluefield, WV. Send flowers to express your sorrow and honor Jane's life. It is 20 miles (32 km) north of Savannah, Georgia, and 95 miles (153 km) south of Charleston, South Carolina The island features 12 miles (19 km) of beachfront on the Atlantic Ocean and is a popular vacation destination. The year-round population was 33,862 at the United States Census, 2000 census, although during the peak of summer vacation season the population can swell to 275,000. [http://www.hiltonheadislandsc.gov/Depts/finance/budget/FY2007Budget.pdf "Consolidated Municipal Budget Fiscal Year July 1, 2006 - June 30, 2007,"] 'Town of Hilton Head Island', Accessed July 6, 2007. Over the past decade, the island's population growth rate was 32%. [http://www.lcwow.com/demographics.htm "Lowcountry Workforce on the Web,"] 'Hilton Head Island - Bluffton Chamber of Commerce' - Accessed January 31, 2007. The ancient Shell Ring can be seen near the east entrance to the Sea Pines Forest Preserve. Archeologists believe that the ring was a refuse heap, created by Native Americans that lived in the interior of the ring, which was kept clear and used as a common area. In 2004, an estimated 2.25 million visitors pumped more than $1.5 billion into the local economy. On August 27, 1893, the 1893 Sea Islands Hurricane Islands Hurricane made landfall near Savannah, Georgia with a storm surge of and swept north across South Carolina, killing over a thousand and leaving tens of thousands homeless. COLUMBIA, S.C. South Carolina voters were picking at least three new members ... The district stretches from the conservative Columbia suburbs to Hilton Head Island and Beaufort County, picking up some of the state's poorest counties in between. Our 12-Step Complete Cremation Service offers attention to detail, high quality service and comprehensive support to Hilton Head Island, SC. Listing all funeral homes in Hilton Head Island, South Carolina so you can easily send flowers to any location (same day delivery) or find any funeral service. We work with local florists and flower shops to offer same day delivery. You will find budget sympathy flowers in Hilton Head Island here. Our funeral flowers are cheap in price but not in value.